This is the best restaurant in Kalamaki. The food is great, the place is so pretty but most of all the staff are completely charming and can not do enough for you. They remembered my son's name by our 2nd visit and entertained us with their extensive impressions of accents and sayings from all over the world. You can not/should not spend time in Kalamaki without trying this restaurant, and the more you go, the better it gets! This was by far the best restaurant we visited on holiday this year. On 2 occassions my husband had the fillet steak and said it was the best he has ever tasted. I am a vegetarian, and Dennis adapted the stroganoff into a vegi option even though it was not on the menu. He also did a special request dish for both the kids. The staff are unbelievably friendly and the service was fantastic!!! The food was a very reasonable price and although it is a little out of the way, it is well worth the trip!! Looking forward to seeing you all in Aug next year - it is booked already. Wow.. we have just come back on the 2nd August from staying at Louros Beach Hotel in Kalamaki and i can tell you i had such an amazing time i am so sad to be back home! On the first week of our stay we only ate at michaelos once.. but during the second week we went every single night until the last!! It is definatley the best restaurant in the whole of Zante! Such nice staff there and it gives you a real Greek feel when your there. I want to visit again in October but i am not sure whether it will be any good in kalamaki in october? and of course i need to know if my faveourite restaurant will be open! Does anybody know whether or not it will be open during october time and what it is like in kalamaki? P.s i have posted a lovely pic of me and my sister with Alberto! Such a fun and friendly waitor haha i miss the staff! This was our favourite restuarant this year. The food was amazing, the service unbeatable. If you haven't tried swordfish this is the restaurant to try it, it was delicious. We only ate here twice in our 2 weeks but would have gone more if it wasn't for the distance. We definately be back next year!! Dennis and the staff are all still on top form,another place we will be returning to. We ate here three times and had fantastic food, service and value for money each time. We had retsina the first two visits and a carafe of house red on the third. The house red is lovely and as good as some of the more expensive wines we've had. spaghetti a la marinara - my daughter said the pasta here was the best she'd had anywhere! All were gorgeous. The desserts, especially the baked apple with yoghurt and the greek yoghurt with honey and nuts were amazing. On our last night, Dennis gave us a CD with music from his taverna which we'll play whenever we have greek meals at home. Dennis and his staff are wonderful hosts and we can't wait to be back with them again next year. Thank you Dennis and staff for some fantastic food again - It has been 19 years now and you never cease to produce good food, presentation and friendliness. Thankyou for the CD - we will have our own Greek night listening to it. The food here is amazing, we had 5 meals in total during our 1-week stay and I tried a different dish each night and it was excellent every time. I'd reccommend the tzaziki to start, the garlic bread is just the best I have ever tasted, and out of the dishes I tried the lamb kleftico and swordfish stand out as some of the best I've tried in all my trips to Greek islands. Try it, you wont regret it. The staff are also fabulous, very friendly and efficient. Hi Dennis. It was our second visit to Zante. We were your first English customers on May 1st 09 . We hired a scooter and dined everynight at Mikaelos. The food is the best on the island. The best stifado and seafood pasta!! Superb Wine. Eating at Mikaelos Everynight made our holiday Very special!! We recommend your restaurant to everyone. Mikaelos Bar is one of those places that you might easily not find, as it is slightly off the main drag. However, if you are on holiday for the Greek cuisine, then this is the place to go. Venture in you will not regret it. Dennis and his staff are a joy to be served by, and a pleasure to watch in their courtesy of service and efficiency of action. We ended up eating there every night while in Kalamaki other than one night when we ventured on to the strip - but regreted it . Spent an amazing 2 weeks in Kalamaki in July this year. Holiday was made even better by our evenings at Michaelos. Thank you Dennis, Albert, etc, for making our time in Kalamaki even more special. Would highly recommend your restaurant to everyone who visits Zakynthos. We ate here twice during our 1 week stay in kalamaki, food was excellent both times i had the beef zakynthian with pitta bread and rice and my boyfriend had a mixed platter with varietys of meats, good portions. However 1st time round we had to wait ages for our food but its really busy so just have to be patient. 2nd time we went earlier when it wasnt so busy and got our meals quicker. best eatery on the island by far,good food,freindly,best lamb clefticon i have ever had in 20 years i have been comming to greece. Just returned from our holiday in kalamaki. We eat 3 times at this wonderful restaurant. Wonderful food and lovely staff. It is a must!!! Used to be a Holiday Rep in Kalamaki and cannot reccommend Michaelos enough. Dennis, Albert and the team are wonderful and you will truely have a lovely evening here. The food is good and is not rushed so you can enjoy the atmosphere (and the wine!). We love it so much we are getting married in Zante this July and are having our reception at Michaelos. We are coming to Kalamaki for the third time and cannot wait to see you and your staff. You probably won't remember us but we certainly remember you and your great restaurant and delicious food. See you soon. Worth the little trondle round there ! Sevice and food is flawless! 10/10 every single time we've been! (for the third consecutive year) and will be eating here again every night! This was our 1st visit to Zanta, but what a find mikaelos was easily the best restaurant in the area. We dined there 3 nights trying different menus each night, but were never disappointed. Service was 1st class hope to return soon. Returned home just over a week ago having spent three and a half weeks in Kalamaki. Ate at Michaelos every night as we have done for the past 14 years. Favourite food - everything on the menu is fantastic! Dennis is always telling me how easy it is to make the dishes on the menu, he says he will give me some lessons the next time he visits the UK and comes to stay with us. Cant wait! Dennis is looking well, he's lost some weight and looks 10 years younger! The waiters, Theo has been working there for as long as we have been visiting, Artan and Alberto have ben there for the past 7/8 years. They all give exceptional service to all the customers all of the time. On our last night we chatted to Dennis's nephew Andreas, not seen him for the past two years, what a lovely young man he has turned out to be. We can remember him working there when he was on 5/6 years old. How well Mama is looking after her operation, she seems very happy spending time with her great grandson Konstandinos, he looks just like his uncle Andreas. She is still helping out in the kitchen every day, she is fantastic for her age. Well its only just over 7 weeks before we return again for the last week of the season, can't wait, counting the weeks and the days. we came here 11years ago wen i was little nd came bak 2 years ago nd thn again this year and they all still remember us who was workin there 11 yrs ago. we had a gr8 meal every night we was in there luved it loadz. tha ppl in there are really friendly. best restaurant in kalimaki you cant not go there. The food is great, the sevice is great , the waiters are friendly and welcoming deffinatly be going back next year. definately the best restaurant we went to in kalamaki and was only a 5 minute walk from our apartments which was a bonus as our little girl fell asleep here twice. food was excellent, they will cook any meal as a childs portion which encouraged my son to try some new dishes. service was absolutely brilliant and all the waiters make a big fuss of the kids. Just been reading the fantastic comments about Mikaelos - I'm SO glad the place is still there and still as good! It must be 12 years since I was last in Zante, but am heading back there early September - my hubby has never been, and I keep raving on about Dennis and his fabulous restaurant, so thought I'd better check its still there! I stayed in Kalamaki for 5 years running, and discovered Dennis's on the third night of my first year there - after that, I never ate anywhere else! We're staying in Laganas this time, but I've already put my foot down about where we will be eating.....!! Can't wait to see Dennis and the gang again!!! well in 7 years in zante weve finally made it here, the meals were great and the staff very friendly. i will certainly add it to my long list of good eating places in kalamaki . see you again and YAMAS!! Ate at Mikaelos on Wednesday 4th July - had a 25 minute walk from our hotel but really worth it. Atmosphere was lovely, restaurant on a quiet road, waiters were very attentive but also left you to enjoy the food and surroundings. The Lamb Kleftico was delicious and should be tried. Looked like the restaurant was run by the family as all ages of waiters were helping out with the youngest being around 12.
its off the beaten track but so so worth going, proper greek food!!! we will be back 3rd august for two weeks janine martin george and lottie x get a taxi and walk back!! The food was excellent & staff so friendly. We had a bit of a walk to get there but it was well worth the effort. It is so popular that you either have to book or sometimes there is a short wait. The place is really good value for money & will def go back. Well what a fantastic meal we had there. The staff are soooo friendly and helpful, nothing was too much trouble for anyone there. The menu was brilliant, such a huge variety! The place is family run and it shows with the atmosphere of the room. A little bit of a walk there but worth every step from where we were staying. Will be going back there for sure!!! It was our fifth visit to the island and as always we went to this resturant a couple of times. As always the staff were great the food was excellent and the service was second to none. If staying on the island you must pay them a visit even if it means a bit of a drive its worth it. Thank you dennis and to all your staff. Anne, James and baby Jessica. Went here during our weeks holiday starting 3rd May 2007, someone at our apartments told us to try it as they had been and thought it was great. We had a first class meal, lovely service and the restuarant is also in a nice location. The price was very good value, we had garlic mushrooms and prawn cocktail for starters, skewered chicken, salad and potatoes for main course, one sweet and a carafe of wine all for under 30 euros! We've been coming here for years and we have never been dissapointed. Dennis is wonderful and so are the staff, very attentive and caring. Can't wait to see you all again this year . In answer to Dianes question about finding this amazing place. As said earlier you do turn left from the taxi rank, but I feel it was unfair to say it looks like your heading to nowhere. There are various Hotels,snack bars,etc on the way to Mikaelos. Petrinos, Long Story Snack and Pool Bar, Rainbow Hotel and Ranier Hotel. You will pass all these on the way. I have been to Mikaelos numerous times and have enjoyed it each and every time. Dennis and staff are great and the food is out of this world. Keep up the good work Dennis. Fantastic restaurant in a great location with lovely staff. Service was excellent. We visited Mikaelos is August and again in September for a wedding reception. We enjoyed two fab meals and would recommend the Lamb Kleftico & spaghetti bolognese, both were delicious. See you again next year. this resturant is amazing had many meals here and was never dissapointed. the best pointer i can give you is that i sore greeks queing out side. My fav restaurant on Zante. Not sure about Greek food, try the Meze for two, it's great. If you try a dish and dont like it you dont pay, so be brave. Service is always great and you get the feeling you are visiting somebody's home. You can sit under the olive tree or the vines and at night they are lit up and it gives an atmosphere like no other place in Kalamaki. Well worth the walk out of town. Once again we had 2 lovely meals at this restaurant. Keep up the good work Dennis and his team. If you are on the Kalamaki Road, heading down towards the Cave Bar, you need to turn left passed the Taxi Rank.. You carry on walking for about 10 minutes, it looks like you are heading into the middle of no-where, but on the left handside, just passed the small junction, you will find Mikaelos.. It is a way out of the Centre, but it is definately worth the visit!!! Can anyone tell me where this restaurant is please? 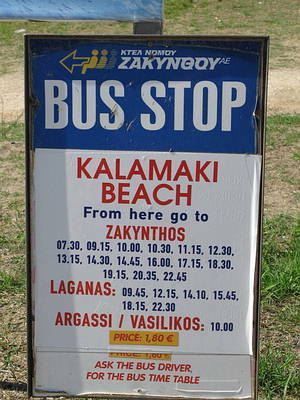 I have been to Kalamaki four times but not sure where to find it. Please give directions with land marks if poss. As usual excellent food, service and prices despite the earthquake whilst we were there on one occassion. The best Lamb Kleftico on the island. Thankyou Dennis and staff for adding so much to our holiday again. We have been coming to Mikaelos for 5 years and have always enjoyed our visit. However this year we were bitterly disappointed - service was poor and there was no special on offer. Some visitors were being feted but we felt that we were causing a nuisance rather than being good customers. We were sorry to see the drop in service from last year and hope that we just caught them on a bad night. Slightly out of the way to where we were staying, Cavo D'oro, however it was well worth the walk. The service was great, very professional and has a big choice in food. I had Beef Yoiuvetsi which was lovely, the beef cooked to perfection in a hot pot with pasta .... yummy and very filling! love this place, had the sardines to start then moussaka, a bottle of zakinthian wine, sitting under the vines, the greek music in the background, bliss! Fantastic,This place is a little out the way but is well worth the walk,Every meal had was excellent ,never had a bad meal, Waiters very friendly and welcoming,You must find this place while staying in kalamaki,Will have very fond memories of this resturant. What can we say? This is by far the best place in Kalamaki to eat. It was our second year at this resort and they recognise you straight away. Dennis, Artan, Alberto, Alex etc make you feel like one of their family. The children are made a fuss of and the food is superb. Think we have tried everything on the menu over the years and have never had a bad meal. Fantastic!!!!! Good luck with the operation in November Mama! We had two fantastic meals at this restaurant and cannot recommend it highly enough. The staff are attentive and friendly and nothing is too much trouble for them. We had a mixed meze to start that was truly the best we had all holiday, followed by beef stifado ( excellent) and beef youvetsi (rapturous). I would recommend Calliga MonteNero wine if you like red, which has warm plummy notes and goes lovely with beef. If you like the whites then a Solomos dry or medium dry is pretty hard to beat. We liked this place so much that we came here for a romantic last night meal. I loved the fried courgettes and mixed grill that I had. Keep up the excellent work. I have never had even an average meal here,Dennis and his staff are great,in fact they are so good I am having my wedding reception here in September. Been visiting Kalamaki for 5 years, always a great meal at Mikaelos! We have eaten here before and it was very nice, cannot wait to go back in September. My friend Lesley and I were on holiday in Kalamaki in June this year and ate here 80% of our holiday. The staff were so friendly and helpful and the food was first class at a very reasonable price. I would recommend the deep fried courgettes with yoghart and garlic dip as a starter. We will definitely go back next year, and from what we could see a lot of people do just that. So glad we found this restaurant, it was a big part of what made this a very good holiday. i love this place its the best & the service is out of this world!!!! The food in this place gets better and better every time I go to the place!! Thanks to all the waiters who remembered me from last year, and this is something, they remembered my order!!! ha ha. 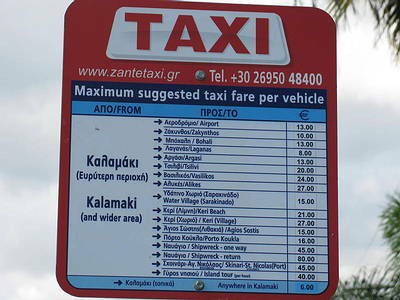 Anyways, I will defo back to visit you the next time I am in Zakynthos. Kalo Kalokeri to you all. First time we have eaten here last week - gorgeous. The mixed meze was to die for, we will be back in September, thank you for a very enjoyable evening. We know now why people rave about it so much!! An excellant very professionally run restaurant. No TVs, no competing blaring music, just quiet background Greek music. People were prepared to wait for a table to be free. A little out of the way but definately well worth the effort. We ate there every night for 2 weeks. We have travelled all over Greece and in our opinion the meals we had in Mikaelos were the best Greek food we have eaten.This was our first visit to Kalamaki, and though it is not the prettiest of places, Dennis and his staff will make you want to return just for the food and their hospitality.